Rick was born and raised in Corpus Christi, Texas. After graduation from Calallen High School in 1976, he attended Del Mar Community College and Corpus Christi State University graduating with a Bachelor’s degree in Political Science. He graduated from St. Mary’s University School of Law in 1984. Rick is admitted to practice law in Texas. Rick is a mediator and arbitrator. He brings to the firm a broad base of experience and knowledge. Upon admission, he opened his own general practice handling criminal defense and civil litigation. His third trial was a murder trial. 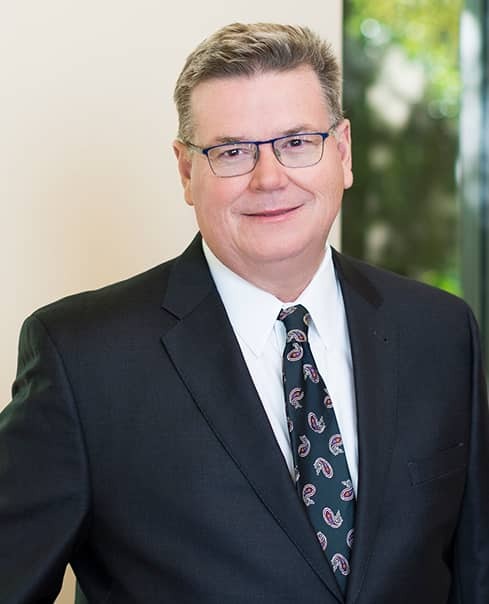 In 1996, he became general counsel to Associated Payroll Control, Inc., based in San Antonio, managing complex commercial litigation, labor law, risk management, tax law, personal injury, dram shop and wrongful death defense litigation in Texas, Nevada, Idaho, New Mexico, Alabama, and the U.S. Virgin Islands. In late 1998, he returned home and he re-opened his general practice while continuing to serve as general counsel for Associated Payroll. During this time, in addition to his trial practice, Rick developed an appellate practice handling civil and criminal cases. He has been appointed by courts to serve as special master for damages apportionment in several major mass torts in both state and federal jurisdictions, including Texas, Rhode Island, and Georgia. He also has been appointed by courts to serve a special master for discovery in several complex litigation cases. More recently, he has become involved in Fair Labor Standard Act Litigation for hourly employees who were not paid properly paid for the work they did. In addition to this work, he has represented numerous children or parents in Child Protective Services cases and was recognized by CASA of the Coastal Bend for his work. Concerned with the rights of the elderly, mentally ill and juveniles, Rick has served as guardian ad litem, next friend, amicus, attorney ad litem and mental health master in many high conflict cases. He has lectured on technology and information security in a law firm. As a mediator and arbitrator, Rick brings to the firm a broad base of experience and knowledge. Rick has also served as an expert witness in several cases. Rick spends his spare time with his friends, cooking and traveling through the high desert of west Texas.